Need Expert Servo Motor Repair on Your CNC or Robot? All In-House Repair, with Over 11,000 Completed Servo Repairs! Do you have a CNC, robot, or other machine that has a servo motor that is giving you fits? 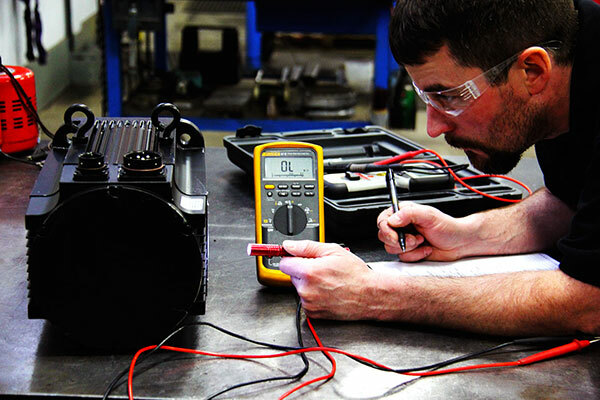 With over 25 years experience in AC and DC servo motor repair, RepairZone offers quick turnaround, including available 24-hour emergency service, and the highest quality servo repair services as your solution. Our key brands include Allen Bradley, Fanuc, Indramat, Modicon, Reliance, Siemens, Yaskawa, and more. We carry a large parts inventory and including new OEM parts for major brands serviced which helps us to offer same day or next day turnaround on many repairs. 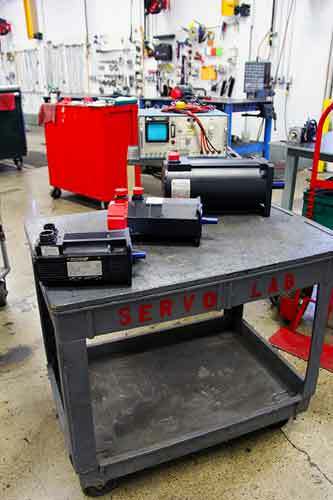 We offer AC servo, DC servo and servo-spindle motor repair. Exchange inventory can save even more money and less downtime! We rebuild high-precision motors using genuine OEM parts. FULL-TESTING: After all necessary repair work is performed, the unit is assembled and final run tested on the manufacturer's servo amplifier. Load testing is optional and performed to match the manufacturer's torque/speed curve at a minimum of 3 different run speeds. Your motor returns and looks and runs like new again, ready to run your machine or robot . We ship it back in a custom foamed box, to protect it from the rigors of transportation. AC - Allen Bradley, Fanuc, Indramat, AEG-Modicon, Siemens, and Yaskawa to name a few of the manufacturers we work with on a daily basis. DC - Experienced technicians with over 30 years in DC repair from the likes of Baldor, Contraves, Kollmorgen, Gettys, Fanuc, Inland and more. Brushless -- Got a bad stator? We can rewind it. Got a bad shaft? We can machine it. Get a raw deal last time you had it repaired? Not with Repair Zone, we make it right! Servo-Spindle -- At Repair Zone, we take pride in every step of our motor repair service, from our customer care to receiving it in, to our belief in our technicians, which is why we back our work with a full, no-hassle, one year warranty. Browse our Servo Motors for repair, exchange, or purchase.